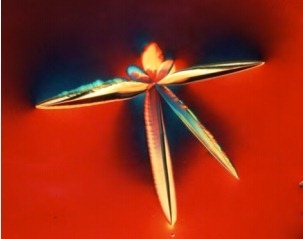 In other words, we can’t normally see these molecular structures in wine even under standard microscopic examination. They are hidden. And they are beautiful. I found the prose of Wine’s Hidden Beauty to be enlightening, but nearly as circuitous as Sondra’s journey to wine itself – at times it’s sprawling and confusing, and you get the sense that you’re galloping just to keep up with hr on the tangential journey of her thoughts. 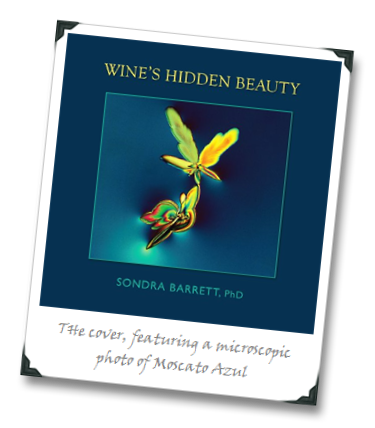 But there’s no denying that her molecular photographs are gems, and the book is stunning simply on that facet alone; it’s the kind of book that you don’t even need to read to have it change your perspective, and a rare case in which the cover (Which features a photo of Muscato Azul) does indeed accurately judge the contents. About $25 on Amazon.com, $35 signed by the author, and some copies are still available via the Palate Press Wine For Haiti auction. thanks for this amazing find !. 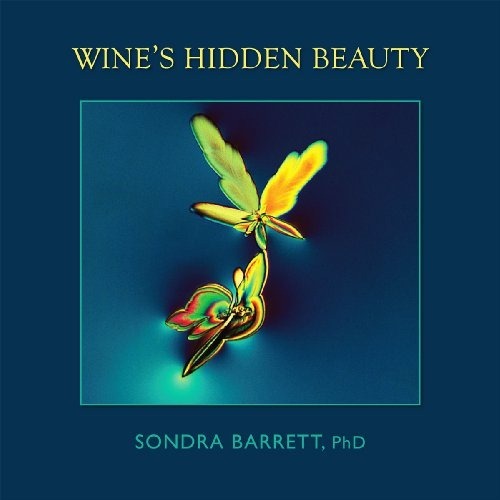 Wine’s hidden beauty- by sandra Barret is truely a gem..!. Thanks, Darby. My understanding from Sondra is that the book is being offered in more and more tasting rooms in Napa and Sonoma. The images really are striking, it's worth a look even if you're at the bookstore and just want to pursue the pictures over a cup of coffee! Wow! This is fantastic!! Never heard of it – thanks! Hope I'll review it on my blog someday. Found her last September, and wrote about her, too. (You can search on my blog for Sondra, and the link will pop up for Bioscapes… can search on that, too.) She also lives just a few miles from me, and I'm reminded that she and I are going to do lunch… The beauty of being here. I'm pleased you landed on her spectacular art work within the beauty of the liquid itself! Hey there! I just wanted to convey that I enjoy your publishing way and that I am going to follow your blog often from now on :) Stay the best! Thanks so much for your kind review of my new book, my only book, so far. I have been accused of writing the round about way before – I think part of the reason, if I need a reason – my scientist mind wants to hedge the bets of the potential meaning of the pictures; my artist says its beauty, wine is exquisite, does it need to be anything more. My 'minds' argue – the patterns are intriguing in terms of taste and our instinctive intelligence. Maybe one of these days we'll have research to illuminate. In the meantime, we can drink in beauty in many ways. Thanks for telling your readers about it. No more books are available on the Haiti auction, sorry – its either Amazon, me, CIA, some great wineries and independent bookstores. Cheers! Thanks, Sondra – and thanks for giving us this gem of a book! I agree. Very refreshing write-up. I'm glad I stumbledupon this. Thank you for sharing! I am so glad you stumpledupon wine's hidden beauty and you had me stumble upon once more Joe's great write up of my book. 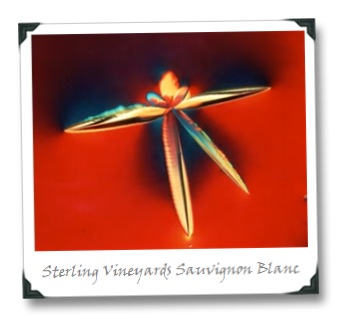 The writing is sometimes circuitous trying to bring together the spirit and mysteriousness with the science of taste, wine, and pleasure. Enjoy. If you order a book from my website, I'll include a cd called Molecular Messengers of the Heart – meditation-relaxation bodymind medicine. Next book out will be Secrets of Your Cells from Sounds True in May 2012…. the hidden beauty of our cells and molecules. another wonderful journey. Always nice to see past posts still generating some discussion and new discoveries. Well, positive discussion, I mean! :) Cheers!